Hey guys! It’s Kristen from Chalk & Apples. 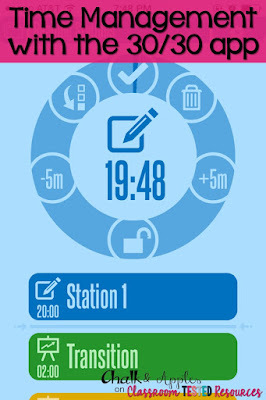 When I first learned about the Daily 5, I loved the idea. It’s such a simple way to manage centers so that the teacher can focus on meeting with small groups. In my classroom, though, I ran into a couple of issues... a lack of adequate time and difficulty finding engaging, age-appropriate activities made implementing Daily 5 difficult in my 5th grade class. Today, I want to share some solutions that have helped Daily 5 work for my big kids. I recently found an app that I absolutely adore! It's called 30/30, and while this particular app is only available in iTunes, there's an Android alternative. Tween Tribune (from the Smithsonian) and NewsELA are both sites that feature news and current events in student-friendly language. What I love about both sites is that they allow students to change the reading level of the articles with one click. There are also quizzes about each article, and teachers can create accounts to assign articles to students! StoryNory is primarily for younger grades, but they do have lots of fables, fairy tales, and other traditional stories. Around Halloween, they even had scary stories! Storyline Online is another great site with lots of high quality picture books. Many of our mentor texts are on the site! Most of the time we spend this time actually writing - usually a response to something we've been reading or a fictional work of their own choosing. When students are stuck on ideas, I pull out my big jar of writing topics for them to draw an idea from! NoRedInk is great for practicing grammar skills. The site asks students for their interests (books, TV, movies, celebrities, etc.) and tailors the sentences/paragraphs to their interests! My class is absolutely loving it this year! Two other favorites are FrontRow and MobyMax. 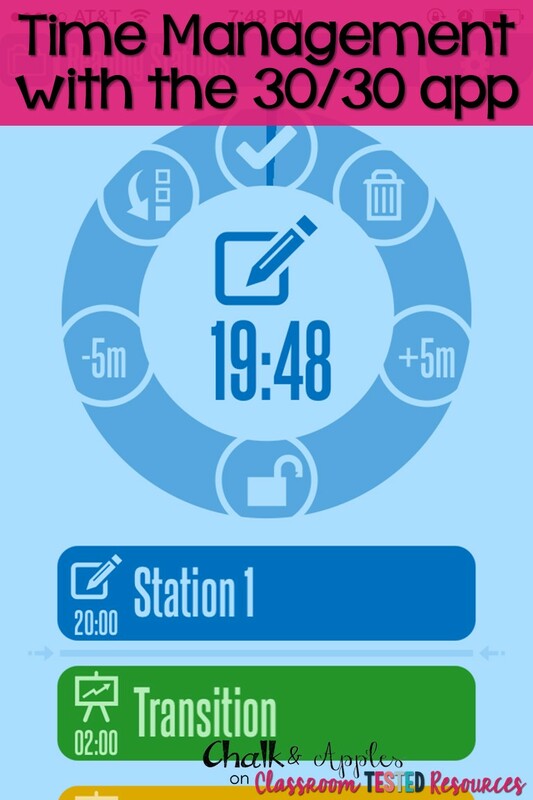 Both allow you to assign specific activities to your students or have them work at their own pace. 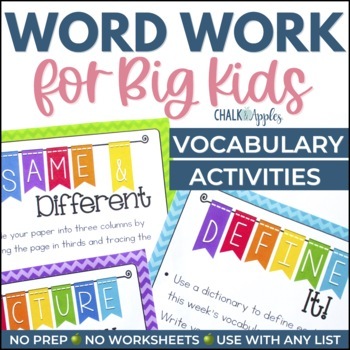 I had so much trouble finding word work that would engage my 5th graders and actually address the meanings of the words (instead of just spelling patterns) that I made a set of word work activities for them to choose from. These get heavy rotation in my class, and the students love having the freedom to choose the one they want to do each day! There are lots of opportunities in these activities to work with a partner and to use technology, but you will also find plenty of independent activities as well. Some of our favorite activities are Picture It, Link It, 5 Clues (a partner game played much like 20 Questions), Picture Dictionary, and Vocabulary Story. Use them during Daily 5 or send home activities to do with family members. I am still looking for more great activities, especially for Listen to Reading and Word Work. If you know of some great resources, share them in the comments! Epic! is an app that has tons of books that are leveled by grade and is free for teachers. Check it out! 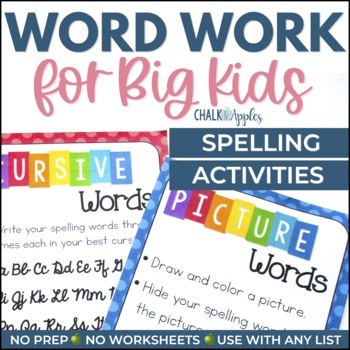 I clicked on the link for the word work activities, but TpT said the page was missing from their site. Are they still available to review? I'm sorry about that! I have fixed the link, so it works now. Thanks for letting me know! I have ordered the daily 5 and Cafe books and they should be in this week. I have been doing tons of research though. Here is my question which may be answered in the books...when do you actually teach you? I have 3 80 minute blocks where I have to teach reading, language, writing, and vocabulary. With common core, there are three genres of writing I am responsible for teaching so when does this take place? I teach writing separate from the Daily 5 block. Daily 5 includes a work on writing time, but I never felt like that was nearly enough, especially since it's center based, and there's no instruction happening. We also have students pulled out during our reading block for reading intervention, but since that doesn't include any writing or grammar, I have to teach it at a different time. I've been looking for ways to do Daily 5 for my Grade 5 that includes giving my students opportunities to practice grammar/writing. So you mentioned in the comment above that you do instruction separately. What does your schedule look like to allow so much time? I have about 6 hours a week of Literacy - reading, writing, grammar, spelling etc. Also, how much time did it take for your students get to the routine down to maximize time? How do you set up rotations of 4/5 centers with only 3 rotation slots? Thank you for this!!! I'm a veteran Daily 5-er, but in 1st Grade, and I'm moving to 3rd next year. I don't want to abandon a system that I KNOW works so well (and I'm getting many students that I taught in 1st, so they know this system), but I knew that I needed to do some tweaking, especially in Word Work. Looking forward to digging into this more as I plan this summer! For nonfiction/ Social Studies- StudiesWeekly is a great resource that you could use for listen to reading. It's a $20 subscription, and then I just have my students log on as me. You could assign a lesson, and have them listen at their own pace. My 5th graders loved it!